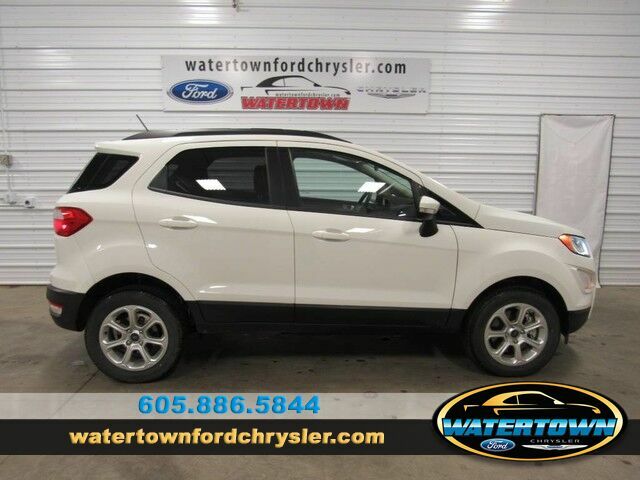 Contact Watertown Ford Chrysler today for information on dozens of vehicles like this 2018 Ford EcoSport SE. Want more room? Want more style? This Ford EcoSport is the vehicle for you. Simply put, this Four Wheel Drive is engineered with higher standards. Enjoy improved steering, superior acceleration, and increased stability and safety while driving this 4WD Ford EcoSport SE. You could keep looking, but why? You've found the perfect vehicle right here. This is the one. Just what you've been looking for.